Last updated: July 14, 2018 at 10:36pm by Savanah – Lawmakers in Maine will be looking at legislation this year on the possibility of regulating online daily fantasy sports (DFS) wagering within their state. Maine’s Veteran and Legal Affairs Committee voted and approved to do a study in 2015 on whether or not it would make sense to build more casinos or to just increase the number of slot machines within the state. The results of the study were released and it mentioned Maine could support up to two new casinos. However, on March 23, 2016, Maine’s House voted against a bill by a 61-83 vote to build the state’s third casino. Additionally, on November 7, 2017, the state voters decided not to allow a third casino to be built (83%-17% vote). Maine is about in the middle of the pack when it comes to gambling within their state and the laws they have in place. Most of their gambling laws are broad in context and they don’t really seem to be leaning one way or another in terms of regulating online poker, possibly because they aren’t a very populated state and they wouldn’t see much impact one way or another. They have a pretty standard definition of “gambling”, like several other states’ laws in the USA, and it doesn’t really clarify specifically what forms are legal and which aren’t. Their definition talks about a “contest of chance” and many could make a strong case that poker is a game of “skill” and not “chance”. 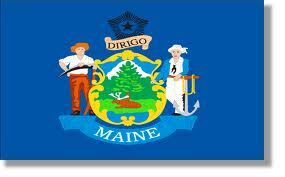 Click here for a full guide on unlawful gambling statutes in the state of Maine. What is Maine’s Current Stance on Poker and Future Outlook? As for regulating online poker, Maine has no sudden urge or need to be one of the frontrunners on this topic like that of Nevada, New Jersey, and Delaware for example. They could easily enter into interstate poker compacts (share player pools) down the road as more and more states regulate poker over the internet. With a low state population in Maine, this would make the most since for them. Social/Charitable Poker Tournaments – An organization needs a license to conduct a poker tournament and it can only be conducted up to twice a month. Such license costs $250 for 100 players or less. The maximum number of players allowed is 100 unless it’s at the premises owned by the licensee. In that case, up to 300 players can play at a different licensed rate. The maximum buy-in/entry fee per player is $100, and no re-buys are allowed. A minimum of 75% of the entry fees collected must be paid out back to the winners. Gambling entertainment has been in Maine since the late 1800’s when casinos were built along trolley lines in Portland and Brunswick. Today, people can enjoy playing slots and table games like craps, blackjack, and roulette at Maine’s two casinos; the Oxford Casino in Oxford and Hollywood Casino in Bangor. These two casinos generated a record setting $129.3 million in revenues in 2015. Scarborough Downs on the southern coast of Maine features live harness racing at the fastest half-mile track in New England. The facility offers pari-mutuel wagering on live races and simulcast events around the country. Visitors can cheer on their favorite trotting horse in eastern Maine at Bangor Raceway and Off Track Betting. In August through October, there are agricultural fairs that offer live harness races with wagering capabilities. For bingo players, people can play at Penobscot High Stakes Bingo on Indian Island in Old Town. Players can compete for big prizes, up to $250,000, in this 2,000 seat bingo hall. The venue offers a variety of bingo games, pull tabs, and coin-boards. They also have a lottery, the Maine State Lottery. In 1973, Representative Arthur Genest brought about the idea of having a state lottery in Maine. Once the bill was drafted, Maine citizens voted and approved the bill with flying colors. The following year in 1974, the lottery was in operation and on June 27th Governor Curtis drew the first lottery number. 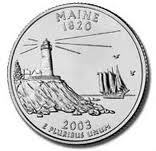 Profits from the Maine State Lottery are transferred to the State’s General Fund which supports many programs and services for the citizens in the State of Maine.